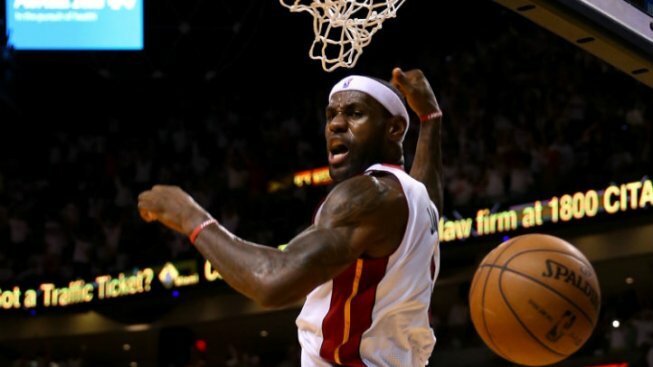 The Miami Heat may be in the midst of the preseason, but LeBron James shows no rust in his dunking ability. The Miami Heat are still two weeks away from opening the 2013-14 regular season, but reigning MVP LeBron James is dunking like the offseason never happened. Twice in Tuesday night's exhibition game against the Washington Wizards, James found himself at the rim on a fast break, and both trips resulted in thunderous dunks. LeBron so captivated the Washington crowd with his dunks that he received a loud ovation after the second dunk. The dunks came on back-to-back possessions late in the second quarter. In the first play, James snuck behind the Wizard's defense on a long rebound, leaving him alone in the open court for a two-handed reverse slam. The second came on another fast break, with Chris Bosh tossing an alley-oop that James caught with one hand and threw down the cylinder. 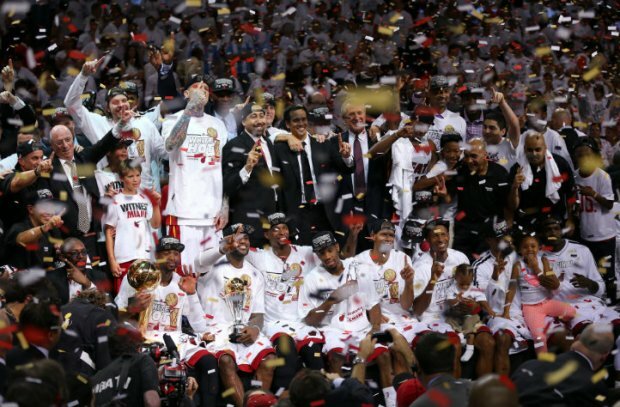 The Heat open the 2013-14 season on October 29 at home against the Chicago Bulls.